I am trying my hand at the fun game of creating Art Trading Cards. This is my second! If all goes well I will do a line of these fun little drawings and paintings. 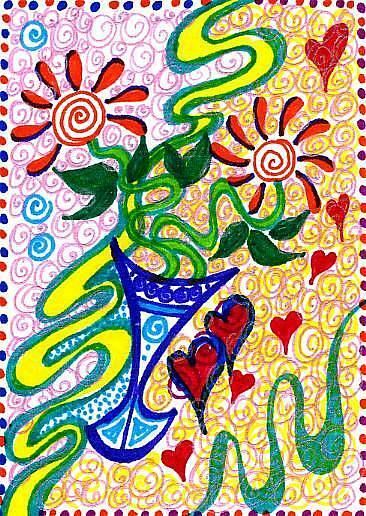 I'm on a flower kick lately and this is a doodle turned art trading card!